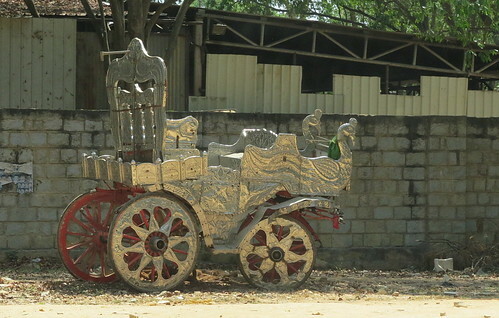 It’s always nice to see the variety of vehicles in Bangalore, but surely this silve chariot, parked outside the gates of Gayatri Vihar (the new board says Sheesh Mahal…sheesh!) takes the traffic cake! I suppose it’s pulled by whiite horses…and pulls the bridegroom towards his matrimonial adventures…. !